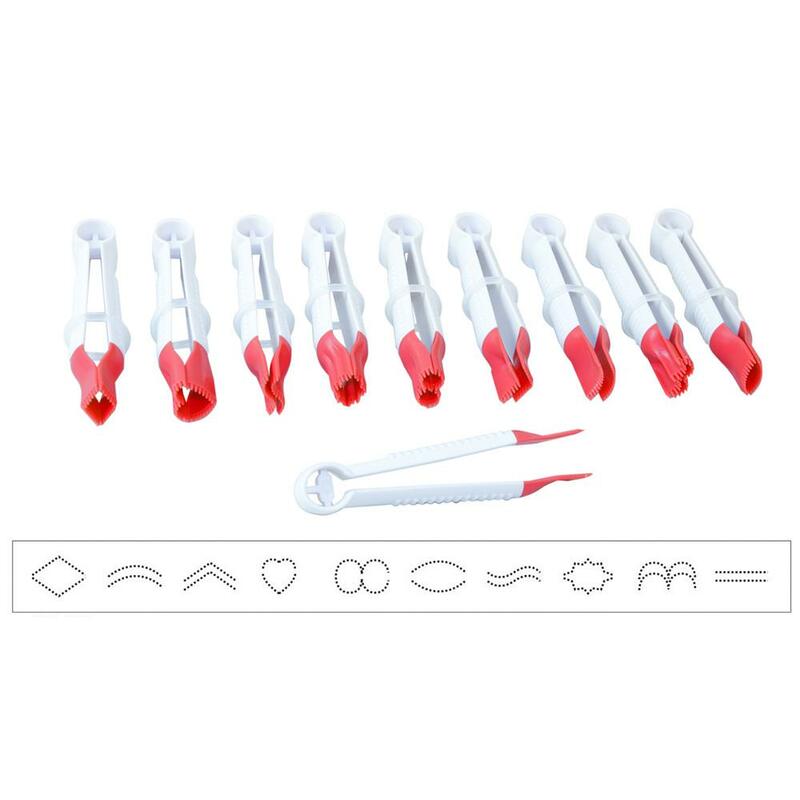 Decorators use these professional tools to emboss unique and distinctive designs into fondant and sugar paste. Each set includes 10 unique designs including diamonds, circles, hearts and ruffles, that provide distinct patterns to any creation. Easy to grip handle, that won’t fatigue your hand when working on larger cakes. 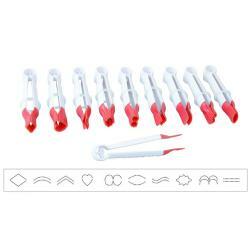 Each crimper features an adjustable silicone ring for quick, easy sizing.